Okey! Two months has now past since I started this blog and it has been a fascinating journey so far. First of all I need to say that I am a figures guy. I work with figures and I like figures. Statistics are important to me. When I started the blog I sat a goal for myself to have at least 100 page views every day I posted something. In the beginning I did not live up to that but now, thanks to all of you it happens every time I write a blog post. So here are some statistics coming fresh of the computer. The blog has so far had 6 637 page views in only two months. The last month you have visited the blog 4 340 times. 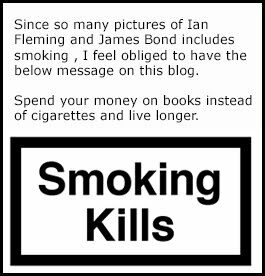 The most read blog post since the beginning is MY JAMES BOND COLLECTION IS FOR SALE which I actually anticipated. The next after that is DISNEY TURNS TO JAMES BOND FOR HELP and that was a true surprise for me. When I made that blog post I thought you would all think it was quite silly. The followers mostly come from the US and secondly from the UK. Therefore I need to once again say that English is my second language. I am Swedish living in Sweden. The most common web browser you use is Chrome on a Windows based computer. So what is the easiest ways to follow the blog JAMES BOND: THE SECRET AGENT. First of all the blog has its own facebook page with 269 followers. What I do with the groups I really like is to change the settings so that the posts that that group does always comes up on top of my Facebook page. this way I do not miss any posts they do. It is easy to change this. I wish to take this opportunity to thank you all for your great support. The main reason for this blog is to get connected to other fans of the literary JAMES BOND and to make younger fans curios about all things 007 in the literary world for both the novels and the books about the films. A new goal is 10 000 pages views before the end of this year! will we make it? To celebrate the two first months I have updated the blogs header. 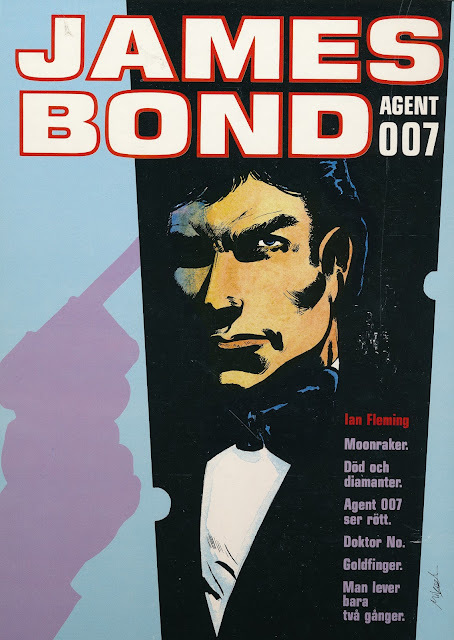 Swedish James Bond comic omnibus from 1988.